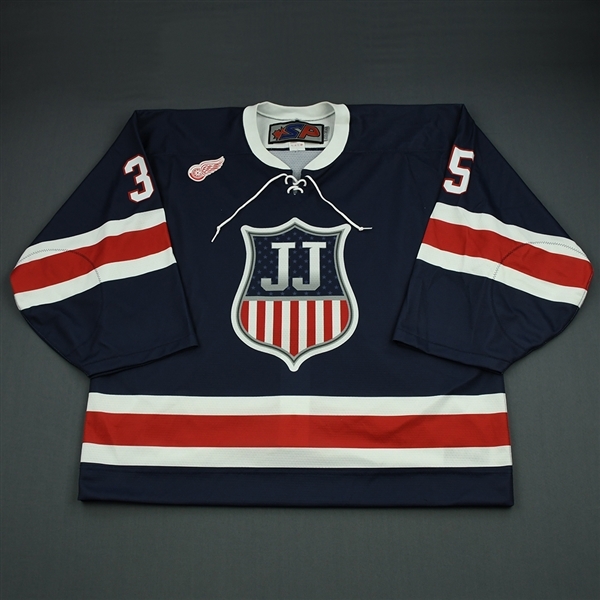 Welcome to USA Hockey-MeiGray Group's Jim Johansson Memorial Hockey Game – 2018 Stars & Stripes Showdown Jersey Auction. Team Blue topped Team White, 14-9, at The Stars & Stripes Showdown. This benefit hockey game in memory of the late Jim Johannson featured top American-born hockey stars, on August 26, 2018 in front of a sold-out crowd of 3,890 at USA Hockey Arena in Plymouth, Michigan. Proceeds will benefit both the Jim Johannson Legacy Fund of The USA Hockey Foundation, and the Ellie Johannson College Fund. Jim Johannson, assistant executive director of USA Hockey, passed away unexpectedly on January 21, 2018 at his home in Colorado Springs. He was 53. Johannson, born March 10, 1964 in Rochester, Minnesota, had a life-long career in hockey and was one of the most accomplished and respected people in the sport. Johannson began his career at USA Hockey in 2000 as manager of international activities and U.S. Olympic Committee relations, was promoted to senior director of hockey operations on August 5, 2003, and on June 25, 2007, assumed the position of assistant executive director of hockey operations, where he had oversight of all in-sport related initiatives, including USA Hockey’s efforts in putting teams on the field of play for international competition. Among the numerous accomplishments during his tenure, the most significant include U.S. teams capturing 64 medals in major international competition, including 34 gold, 19 silver and 11 bronze; the launching and implementation of the highly acclaimed American Development Model; and securing USA Hockey Arena in Plymouth, Michigan, as a home for all U.S. teams to utilize. 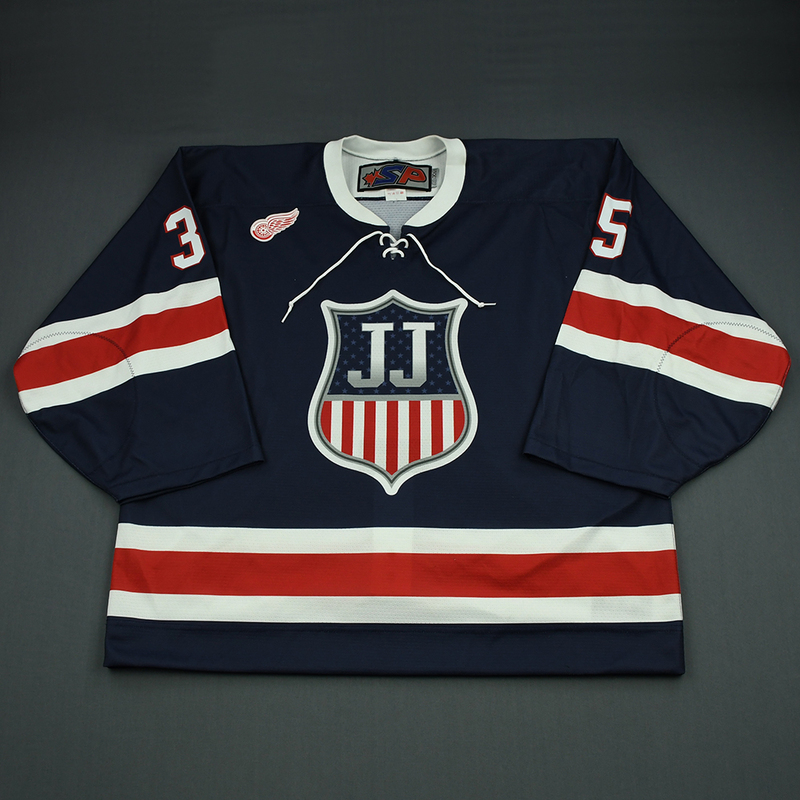 On August 26, 2018, these top American-born hockey stars took to the ice wearing these unique “JJ” (Jim Johannson) crested jerseys with each player’s NHL team logo heat-pressed to the right breast. The jerseys feature a sublimated crest with heat-pressed names and numbers. One set blue and one set of white jerseys were produced and worn in the game. There are 34 game-worn jerseys and two game-issued jerseys. Three game-worn jerseys (Dylan Larkin, Patrick Sieloff & Andrew Copp) were worn and auctioned at the game. 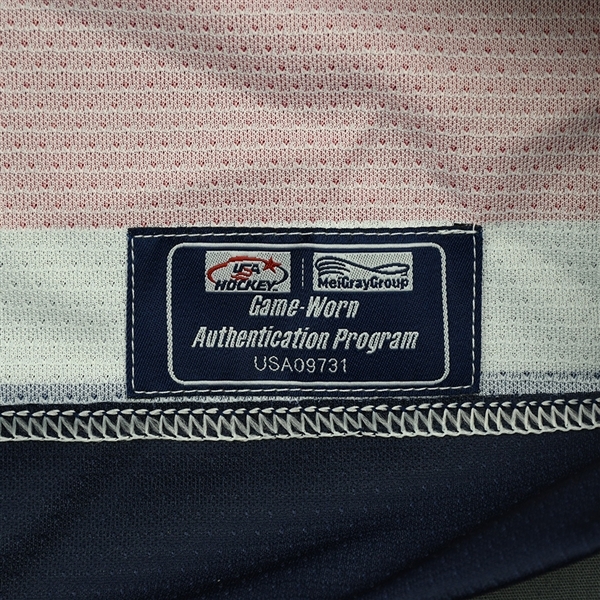 The jerseys are manufactured by SP Apparel. 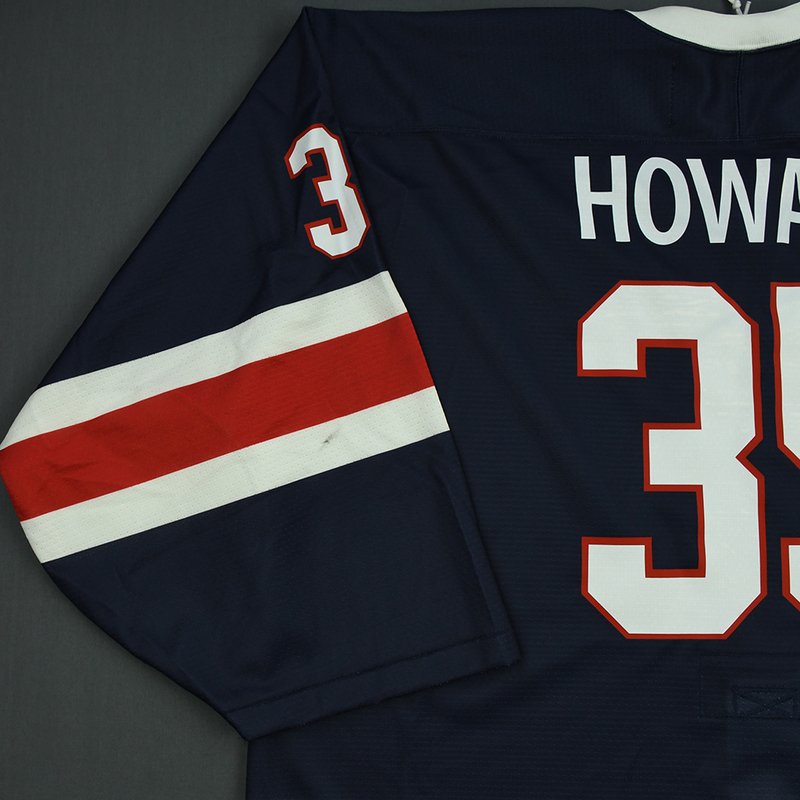 The sets of jerseys were collected after the games by Team USA's equipment staff. 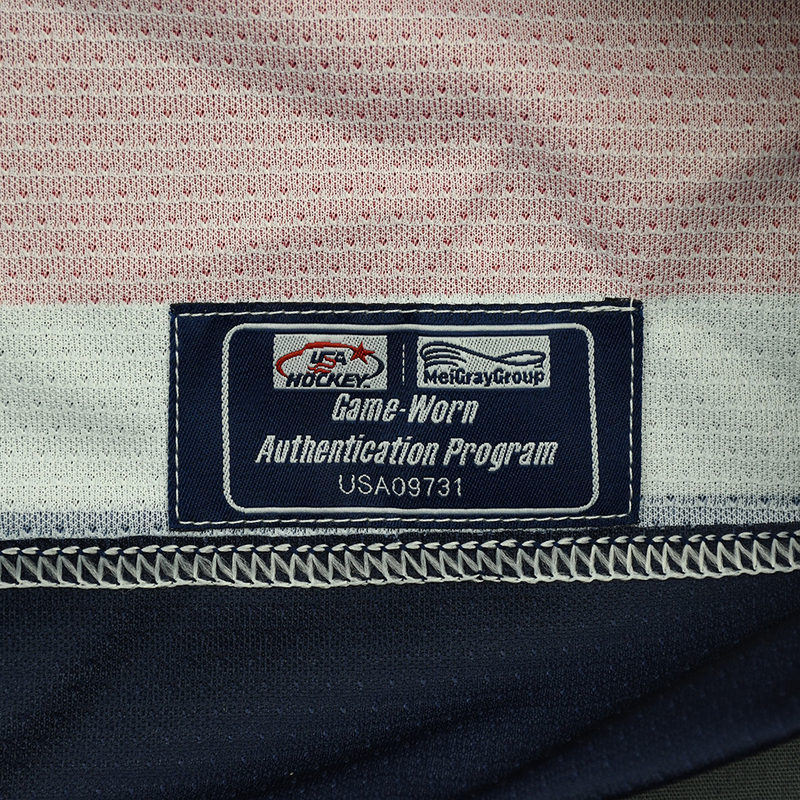 Each jersey offered in auction has been security-tagged with an individually serial-numbered USA Hockey-MeiGray Authentication Program inventory tag. 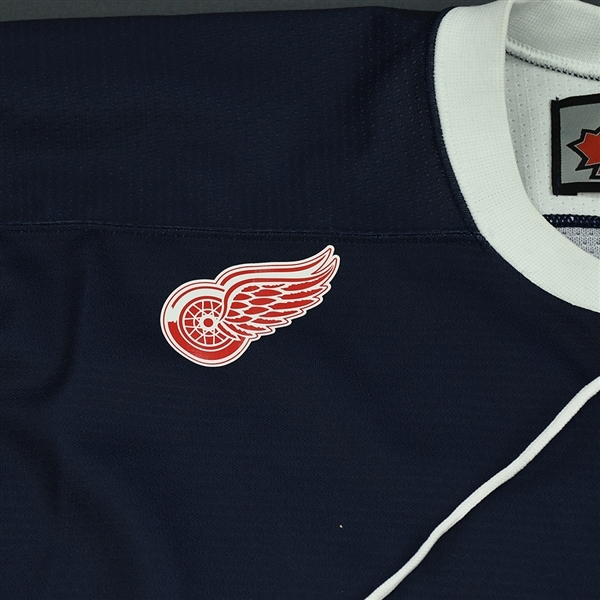 This auction is for the actual blue jersey worn by #35 Jimmy Howard. Howard played in the first period. He plays for the Detroit Red Wings. 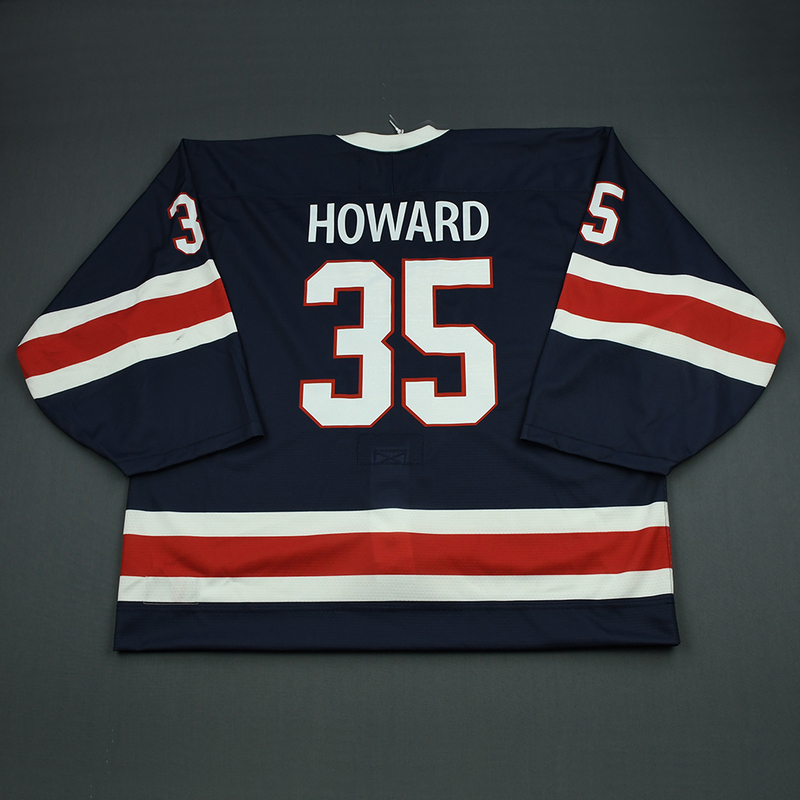 This jersey, a Size 0, has been registered in the USA Hockey-MeiGray Game-Worn Authentication Program as number USA09731. The Jim Johannson Legacy Fund was established to benefit grassroots community hockey programs across the country, something Jim was passionate about throughout his life. Auction closed on Thursday, October 4, 2018.